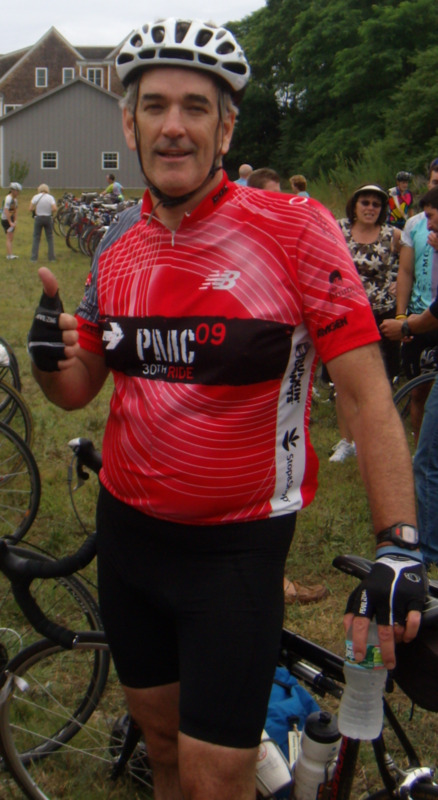 For the eighth time I will be riding in the Pan-Mass Challenge the annual charity bicycle ride which raises money for the Dana Farber Cancer Institute. On August 4th and 5th, 5,000 riders will ride up to 192 miles to support this wonderful institution. 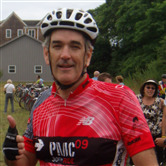 This year I will be riding as part of the Patriots Platelet Pedalers team. This team raises funds which are earmarked specifically to the work of Dr. Ken Anderson to support his multiple myeloma research and development of novel therapies at Dana Farber Cancer Institute and as the Kraft Family Professor of Medicine at Harvard Medical School. I ride because I do not have the ability to find a cure for cancer. I do not have the skills to provide health care to those who suffer from cancer. I am able to help the fight to cure cancer by raising money for one of the pre-eminent cancer institutions in the world. Will you help me? I will gladly do the hard part; all I ask is that you help by making a donation to support my effort. Go ahead, click on that e-Gift link and support me and my fellow riders in the fight against cancer.